Services to children and families are continuing, including all Little Stars Nursery provision. 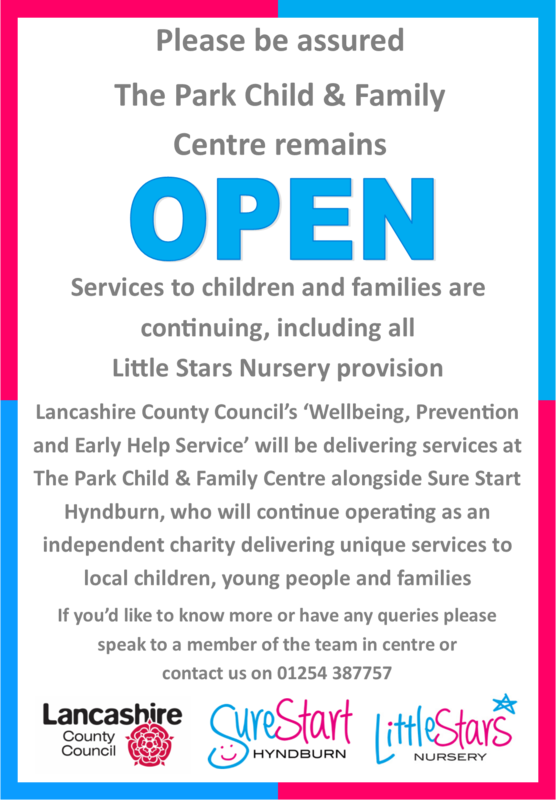 Lancashire County Council's Wellbeing, Prevention and Early Help Service will be delivering services at The Park Child & Family Centre alongside Sure Start Hyndburn, who will continue operating as an independent charity delivering unique services to local people. If you'd like to know more or have any queries please speak to a member of the team in centre or conatus us on 01254 387757.